As part of her 10 Questions podcast series, F.C. 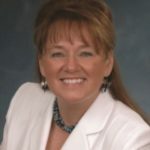 Tucker broker Angela Raab interviews Patti Mahoney, a top producer in Noblesville, Indiana, who dives into her systems and philosophies for success. “Money will never replace hard work,” Mahoney says, sharing where she will (and won’t) spend her money. One area that’s not on her to-do list is closing gifts. And her cash spent on leads is also very limited: $50 per month. We also learn about Mahoney’s spreadsheet method of organization, and why even with all the high-tech options available, the best lead tracker is the one you will actually use.